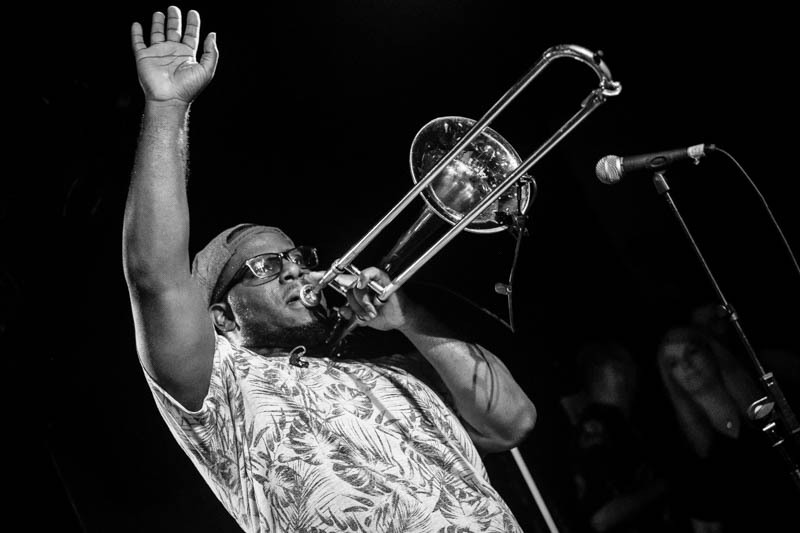 TJ Norris is the newest in the Dirty Dozen Brass Band lineup, but he’s a fine addition, both on trombone and on vocals. I like this shot because you can see the audience in the background. I need to do more shots like this, wide enough that you can see the musicians are not playing in isolation.